During observations of NGC 2254 in February and March 2013, we discovered short-term variability of UCAC4 489-026986. Our observations were carried out at the author's backyard observatory using a 235 mm f/8 SCT, equipped with a SBIG ST-7 and a set of Johnson–Cousins UBVRI filters. Each pixel of the CCD camera scales 1.067'' on the sky, leading to a field of view of 13.6' × 9.1'. The gain and readout noise for the CCD used were taken to be 2.62 e-/ADU and 15.98 e- respectively. Basic data reduction has been performed with IRAF package ccdred and for aperture and psf photometry we used IRAF package daophot. The coordinates were derived with the software tool astrometry.net (Hogg et al. 2008). To search for periods and epochs we used IRAF task pdm, the starlink package task period and the software tool FAMIAS (Zima 2008). 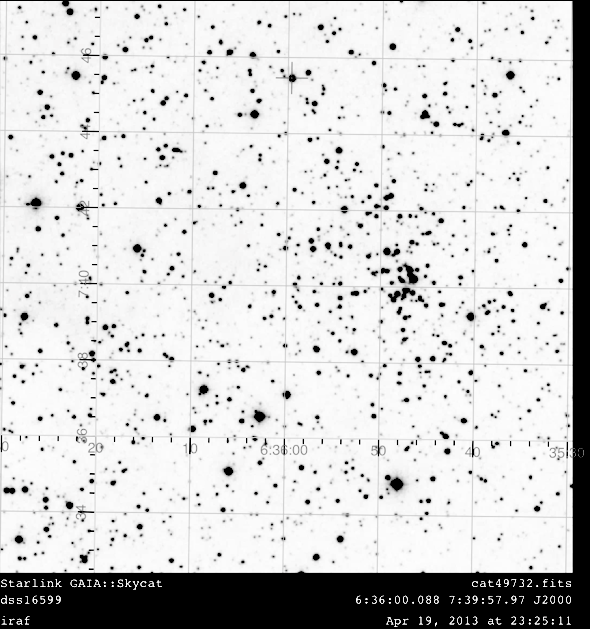 According to these data, UCAC4 489-026986 is likely a DSCT-type star. A fourier analysis with the software tool FAMIAS yields f0 = 16.778 c/d (P = 0d.0596), V-band semi-amplitude of 0m.012 (S/N = 7.625). 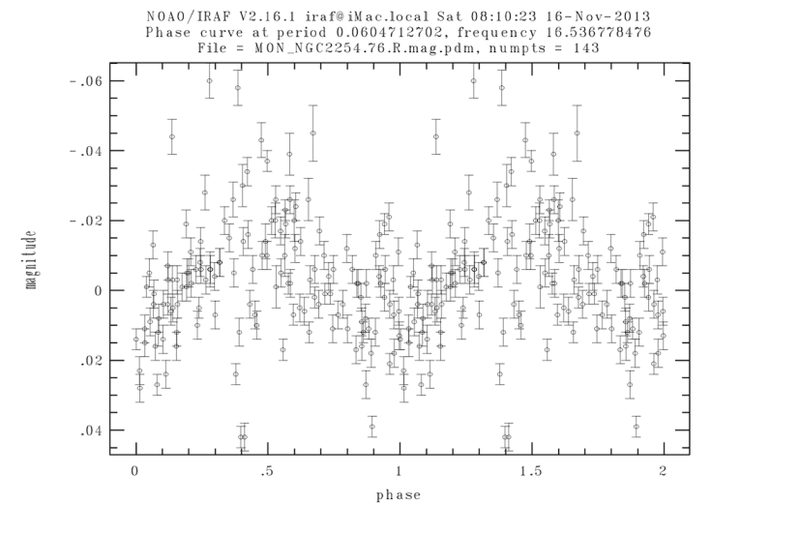 With the IRAF task pdm we found concurrent periods between 0d.0590 and 0d.0635. Mean subtracted magnitudes for UCAC4 489-026986 can be found in the data file attached, and a phased light curve from this data with P = 0d.06047 is presented in the Figure. Also the Finding chart is given. The reference stars are UCAC4 489-027000 (R = 10.854) and UCAC4 488-026622 (R = 10.497). Acknowledgements: This research has made use of the WEBDA database, operated at the Institute for Astronomy of the University of Vienna, and of the VizieR catalogue access tool, CDS, Strasbourg, France (Ochsenbein et al. 2000). The software package FAMIAS was developed in the framework of the FP6 European Coordination Action HELAS.